Doane University’s “receive defense” drill focuses on multiple skills. A server sends the ball over to an opposing team of 3. The receiving team plays the ball to the setter who sets it to a designated target. At the same time, the server moves to base position and digs a down ball. The drill then repeats. 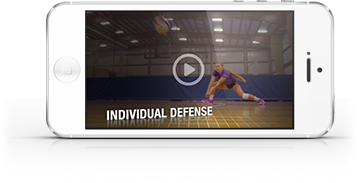 Teams play for points, which can be earned for service aces, good serve receive, playing a ball out of system, or any other skill you’d like your team to work on.